Preparations for the big adventure: As a compact allrounder, the Opel Combo Life reaches his full potential of flexible usage. Stéphane Brogniart loves the adventure: The extreme athlete plans to cross the Pacific Ocean with a rowing boat. 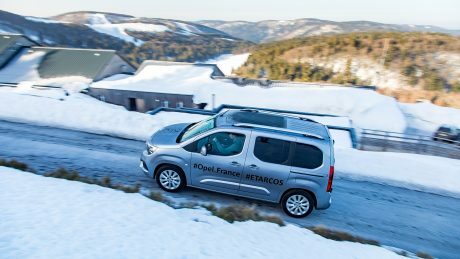 While preparing this world record attempt, the Frenchman is always accompanied by an Opel Combo Life. 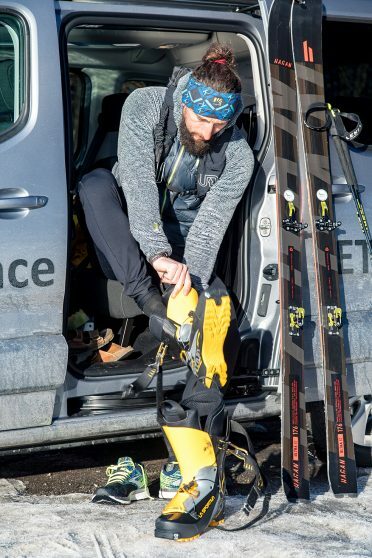 Extreme athlete: Stéphane Brogniart – ultra-trailer, editor and mental coach – occasionally works on his persistance by cross-country skiing. ETARCOS is the anacyclic (a word that can be read in the normal sense of reading or in the opposite direction) of SOCRATE, a word derived from Socrates, the main character in Dan Millman’s book “Way of the Peaceful Warrior”. But ETARCOS, when talking about Stéphane Brogniart’s adventure, refers to two persons: the one of the book’s fictitious hero for his intrepid adventures and that one of the Greek philosopher for his view of humanity and his open-mindedness. Six months, 6,500 nautical miles, one rowing boat: Stéphane Brogniart will start in the South Pacific Ocean in January 2021. ETARCOS is also the name of a boat, Brogniart – ultra-trailer, lecturer and mental trainer who was also supported by Opel when setting a new record for the Grande Traversée du Mercantour – tries to conquer the world with by launching a new challenge. Still, dozens of challenges will be honored before reaching the ultimate goal: crossing the South Pacific Ocean rowing in full autonomy. 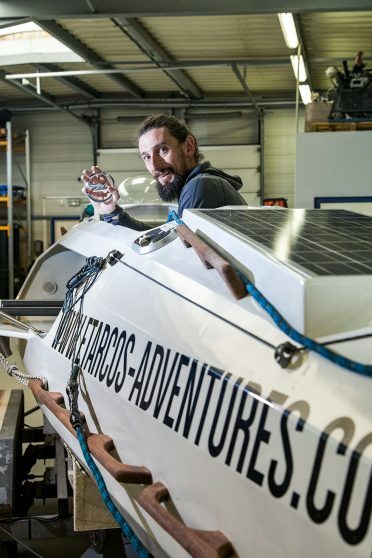 The departure is planned for January 2021, when Brogniart will start six-month sailing trip which will lead him about 6,500 nautical miles (12,000 kilometers for land) through the ocean. 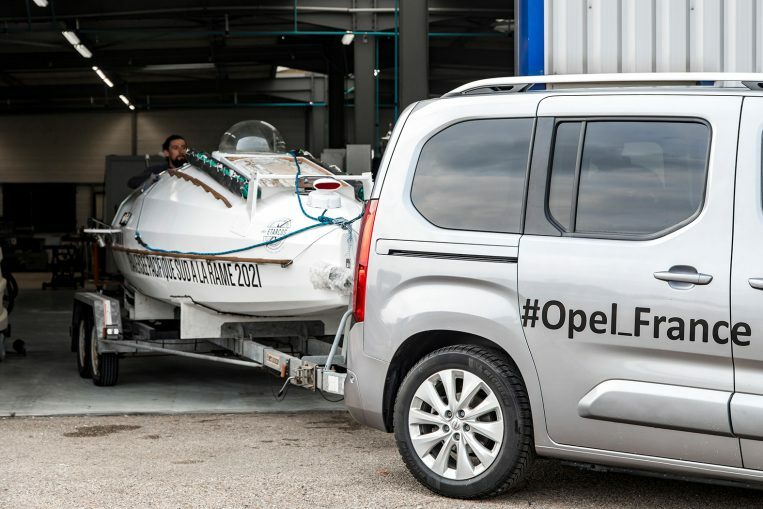 Team: The Opel Combo Life will reliably tow ETARCOS in the next months from A to B – and in numerous workshops, where the boat is getting prepared for the world record attempt. Talisman: Stéphane Brogniart always carries the Opel trademark with him – even when rowing. The challenge, though, is big. As while the Atlantic Ocean has already been crossed several times in fifty days, no one has ever attempted the South Pacific challenge. The Combo Life, which accompanies Brogniart day by day, must offer the same versatility as the extreme athlete himself. 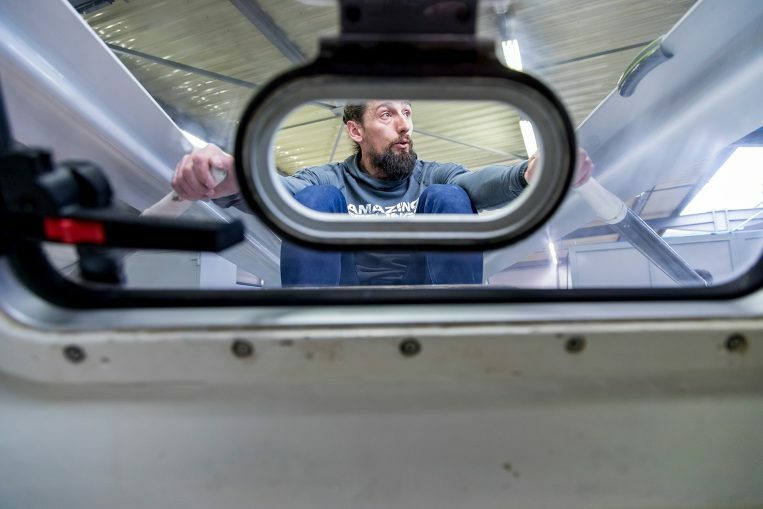 The Opel van carries bulky equipment such as hiking skis and bicycles – that the Frenchman uses for persistance training – or solar panels and equipment needed to arm a 350 kilogram vacuum boat. Brogniart and the spacious allrounder will cover more than 5,000 kilometers each month while travelling for scouting, presentations, training sessions or meetings with specialists of various specialities involved (for example in terms of energy, survival, communication or navigation). The Combo Life is at the start as a companion. The Combo Life has not only the mission to tow ETARCOS from A to B, but also to various preparation workshops where the boat is prepared for its big journey. In order to master the challenge, the boat is deeply modified. For instance, solar panels will be installed to power the various on-board equipment, a specific paint will be applied and various navigation equipment developed. Focused: Brogniart sitting in the ETARCOS, his Ruderboot, whose name derives from Socrates, the main character in Dan Millman’s book “Way of the Peaceful Warrior”. At the end of April, Brogniart will bring the ETARCOS boat to Lake Geneva and lower it in into the water for its first experience. They will cover 200 kilometres for three days with round-trip along the riverbanks and Brogniart will make the final adjustments before the next challenge. The next step follows in September 2019, when Brogniart and his Combo Life will head for Brest in Britany, where ETARCOS will discover the ocean. The plan: After eight days and about 500 nautical miles (around 925 kilometers) on tow, Brogniart will take over the steering and returnby rowing and under the guidance of his router Stéphane Barbet.